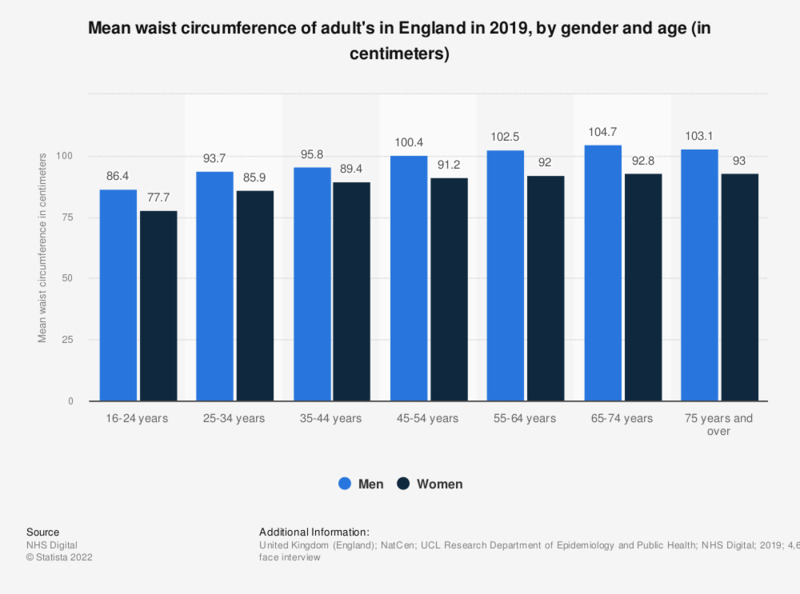 This statistic displays the mean waist circumference of adults in England in 2017, by gender and age. In this year, men aged 65 to 74 years old had a mean waist circumference of 103.1 centimeters and women aged 65 to 74 years old had a mean waist circumference of 93.9 centimeters. * Weighted bases: n (men)= 2,437; n (women)=2,474. -high waist circumference: 94-102 centimeters in men and 80-88 centimeters in women. -very high waist circumference: greater than 102 centimeters in men and greater than 88 centimeters in women, referred to as 'raised waist circumference' in previous HSE reports. Do you think that in the future the French health system will be better or worse than it is now?